UPDATE: The media is picking up on another interesting tidbit: Clinton claimed she could not remember any kind of training regarding how to handle classified information. The FBI also noted that the former secretary of state may have had as many as 13 devices. Hillary Clinton, who said she had her private email for convenience, had 13 mobile devices and 5 iPads, according to FBI. The Federal Bureau of Investigation has just released notes from the FBI's interview with Hillary Clinton in July, according to a new press release. Congress requested the notes last month as part of its investigation into Clinton's use a private unsecure email server during her time as secretary of state. 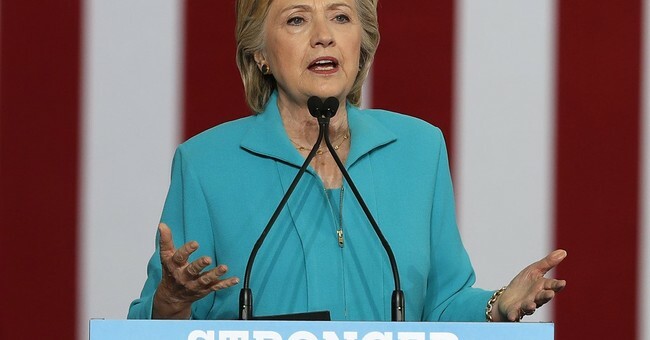 Today the FBI is releasing a summary of former Secretary of State Hillary Clinton’s July 2, 2016 interview with the FBI concerning allegations that classified information was improperly stored or transmitted on a personal e-mail server she used during her tenure. We also are releasing a factual summary of the FBI’s investigation into this matter. We are making these materials available to the public in the interest of transparency and in response to numerous Freedom of Information Act (FOIA) requests. Appropriate redactions have been made for classified information or other material exempt from disclosure under FOIA. Additional information related to this investigation that the FBI releases in the future will be placed on The Vault, the FBI’s electronic FOIA library. Much of the summary is redacted, as some of their discussion included very sensitive information. Yet, there are still some intriguing findings in the notes. At one point in the interview, an FBI agent noted that Clinton didn't know the "C" meant classified. To read through all of the FBI's summary, click here.